Every Monday at 6-7:30 p.m.
Allison‘s thrilled to be teaching this beginner adult contemporary again. While ballet is her first love, contemporary is her true love. 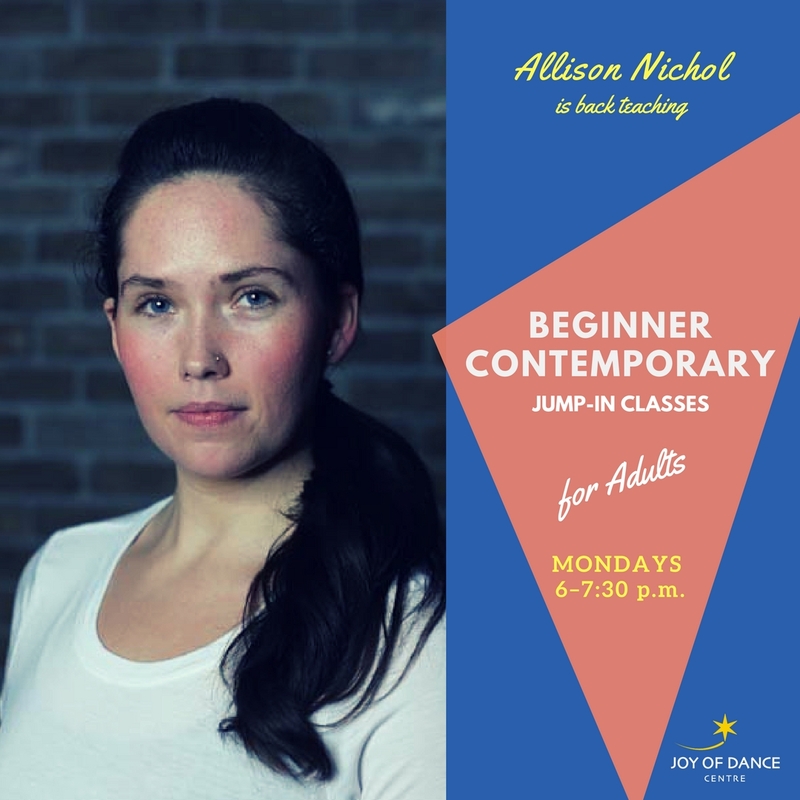 A mix of modern and contemporary technique set to an eclectic playlist, this class will focus on using the body’s natural weight and momentum to move seamlessly from standing to the floor to the air. A new choreography will be developed every 6 weeks. Come dance with her!